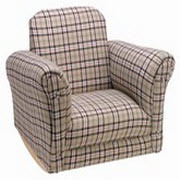 Back in 2004 SensoryEdge was contacted by a man who made affordable upholstered kids chairs from his warehouse in downtown Los Angeles. The pictures he sent looked great and once he sent us a sample we knew the product would do well on our site. Little did we know that the man who we called Uncle Stewie would cause us more headaches than help. Our business is fairly simple; we get an order from a customer who has visited our site and send that order to our vendor partners. Unfortunately Uncle Stewie was not a guy who used technology. He was from the old school and didn’t really get the whole website sales, email, and need it now mentality of the 21st century. So we started sending Uncle Stewie orders and he wasn’t making his ship in a week promise. When we could get a hold of him, there was always some excuse why the product didn’t ship. Because the product was affordable and good quality, we put up with his excuses and apologized to our waiting customers. This went on for a few months and then the holiday season started and orders started coming in at a really good pace. However orders weren’t shipping at all! It seemed every other call was a “Where’s my chair?” question. Calls and emails to Stewart went unanswered and when we did get a hold of someone, it was a warehouse worker who couldn’t take a message. We really didn’t now what to do and felt terrible. People wanted their chairs for Christmas presents and it didn’t look like that was going to happen. As parents, we felt our customers pain and could only offer alternative chairs (which we didn’t have much of back then) or a refund. Of course, it was our reputation on the line and we take how people perceive our company very seriously. After dozens of calls to Uncle Stewie (some not so nice), we finally received a call back. He babbled on about this and that and promised to get chairs out before Christmas. By now we had over 200 chairs owed to anxious customers and we knew we weren’t the only sellers who Stewart owed chairs to. Well by the time Christmas came, Stewart did get some of the chairs out but not all and we heard back from a lot of angry customers. The funny thing was that people still were willing to wait even into the next year for their chair! Most companies would have simply stopped selling the chairs and moved on. But something about ol’ Uncle Stewie made us feel bad for him. He had a product that was in demand but as we found out later he was cash poor. He simply didn’t have enough capital to fund his business, and if resellers didn’t pay him, he couldn’t pay his suppliers or workers. We were suckers and even tried to help him out by telling him to charge his resellers including us more for the product. Stewart wouldn’t because he saw lesser versions of the chair being sold at gas stations around Los Angeles and thought that was who he was competing against. We explained that customers would pay for better quality and he shouldn’t worry about an inferior product in his space. He didn’t listen and slowly but surely we had no choice but to start taking his products off our site. We heard from Stewart sporadically over the next year but then he simply disappeared. We asked some of our competitors and they also wondered what happened to the chair guy. The 3W company is gone and we miss Uncle Stewie. We gave you the short version of all the trial and tribulations with Stewart. Stories about our trips to Downtown L.A. and calls from employees wondering if they’d get paid are just some of the nutty things that went out.